Gorilla Tubs are extremely durable and long lasting. The handles have been EU tested and have a working weight of 100 kilos, so really heavy loads can be carried between two people. Use Gorilla Tubs for tool bags, water tubs, rubble removers, roofing, scaffold knuckles, collecting bits, broken glass carrier etc! 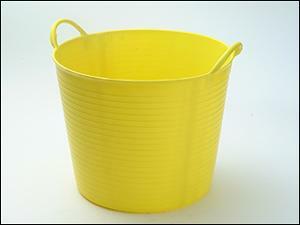 Everything you do with a bucket, you will do easier with a Gorilla Tub. Re-inforced in key areas for durability.